The poor reputation of a nation often obscures the faces of its population, as is the case in Yemen, which has seen an 85% drop in tourism since 2007. 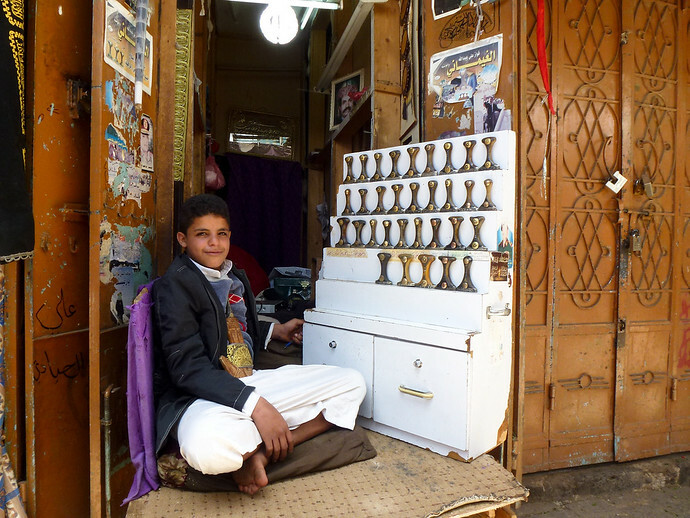 Though my camera was eager to capture Yemen, it was really Yemenis who captivated my lens. Overcoming my general reluctance to photograph people, I mumbled a shy, momkin sura (“picture, possible?”) once in the old market of Sana’a and could barely get through it without everyone wanting their turn. 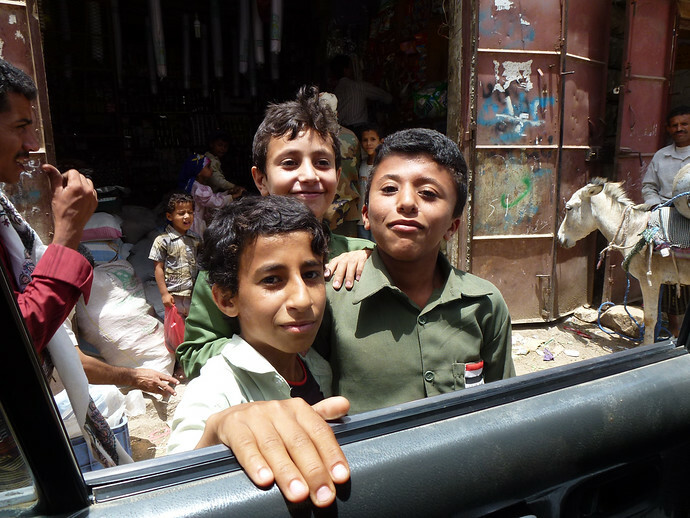 Over the next 10 days during my trip arranged by Eternal Yemen smiles accompanied welcomes and sincere stories about life and struggle among Yemen’s 24 million citizens, nearly half of which are under the age of 15. Geometry was the lesson of the day in this small classroom, one of the few occupied in a school within the village of Al Hajara. Although law requires children to attend school for twelve grades, few of them do outside of the largest cities, keeping the literacy rate less than 65%. Selling khat, the national addiction, it far more lucrative and less difficult than advanced mathematics. In case you’re wondering more about this amphetamine, my friend Wandering Earl has written about getting high on khat in Yemen. While he was doing that, I was busy starring at my hands, which became fascinating every time I chewed khat leaves. The khat has to come from somewhere, and it’s often purchased in large bundles at overflowing markets dedicated to its sale. 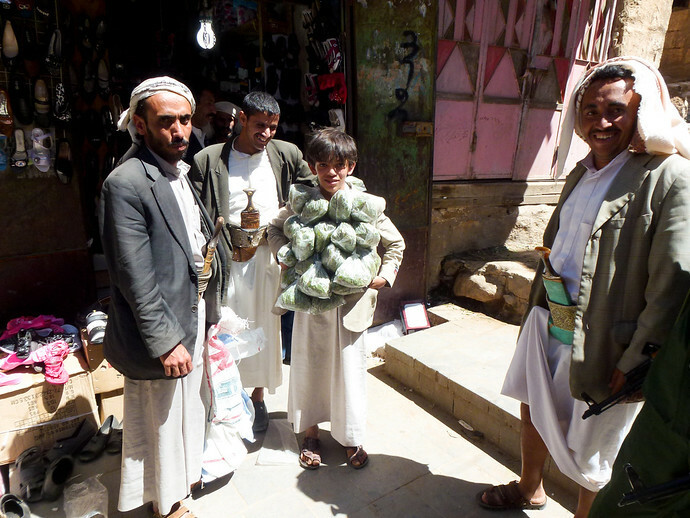 Surprisingly, much like most of the children and men in Yemen, khat dealers in Jebel and elsewhere enjoyed having their pictures taken as well. By now you’ve probably noticed the lack of women, as taking pictures of them is very taboo in Yemen. Many actually darted out of the way of my camera when I was taking pictures anywhere, limiting my shots to younger girls. But don’t let her youth fool you, this student’s request for a picture was culturally bold and one of the subtle signs of increasing assertiveness among the nation’s females. He cried when we left his home in Al Hajara because his aunt had told him I was Murat Alemdar, a character on Kurtlar Vadisi, a Turkish television series very popular in Yemen. (In fact, everyone I met enthusiastically blurted out “Murat!” within 30 seconds of talking to me. The Arab translation of the show modifies the character’s name from Polat to Murat.) The conversation I had with this little boy’s aunt was one of the rare opportunities I had to talk with a Yemeni woman and again, her initiating the conversation was pushing a social norm. 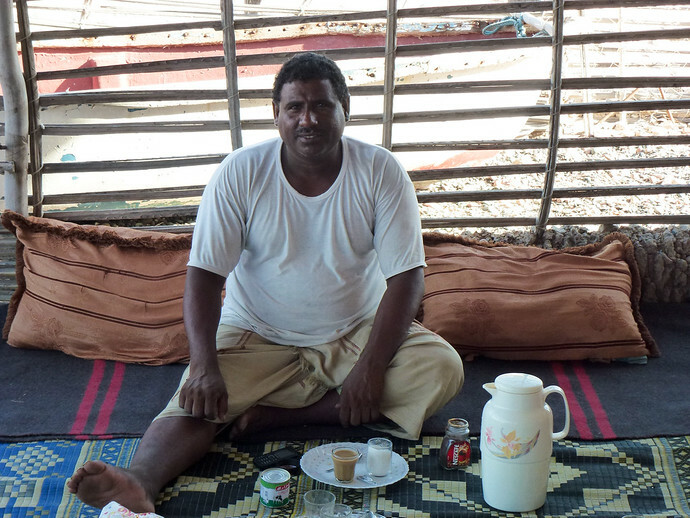 Our host – who nearly immediately called me Murat – at the Abdullah Edib Camp on Socotra Island located about 380 kilometers south of mainland Yemen in the India Ocean. Aside from being a wonderful cook, his sense of humor and jokes had my sides hurting from laughter well after dinner. 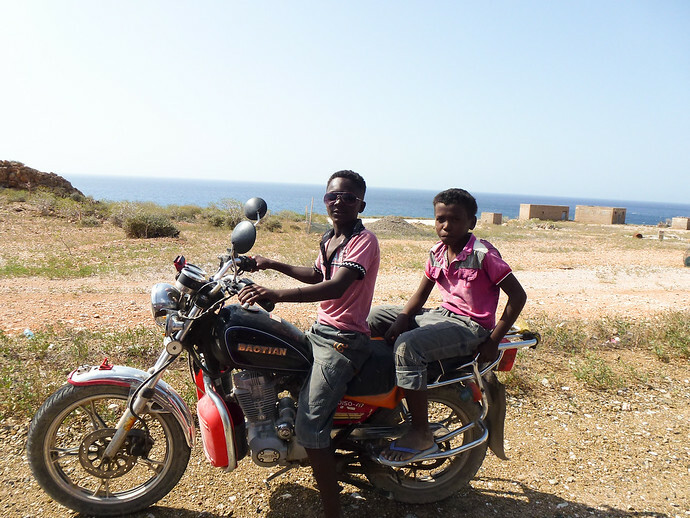 On Socotra, if there’s a road and you can reach the pedals, you can probably drive. Now, look as cool? Few people can pull it off like these two. 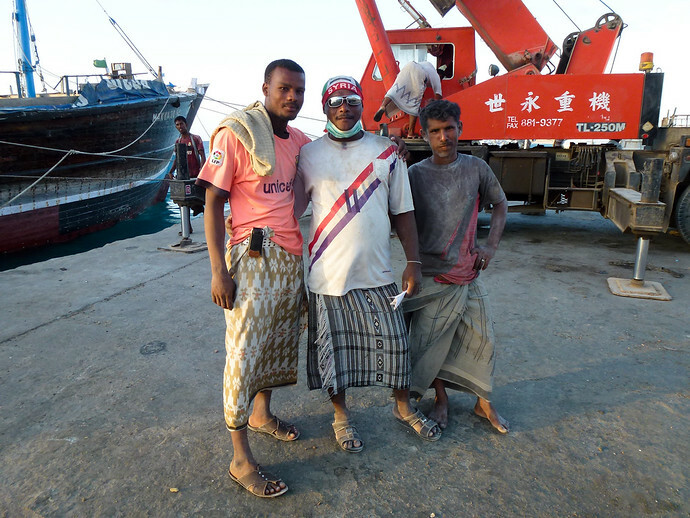 Nearly all of the workers at Socotra’s lone harbor wanted a picture with the fellow wearing the “Syria” bandana. He’s not Syrian by the way, but calling non-Arab Yemenis (or Socotris) Syrian seemed like one big inside joke without any direct explanation. 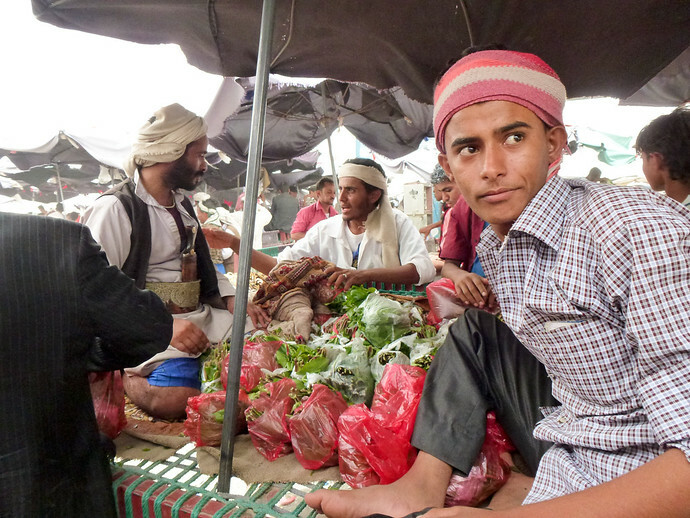 The population of Yemen is diverse, largely due to its geography and proximity to Africa. 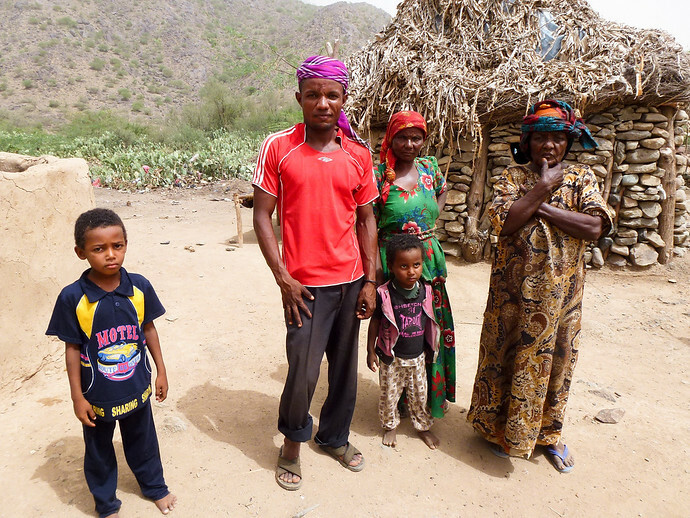 Somalia is only 80 kilometers away across the Gulf of Aden and more than 110,000 Somalian refugees, like the Tiama people below, have made their home in Yemen. Their life is not an easy one as many locals complain about government neglect of basic services, like electricity or running water, as was the case in this Tiama village. Despite the troubles many in Yemen face, most of the people I spoke with were optimistic about the future. Albeit leaving much of their fate in God’s hands…and Lionel Messi’s feet. Over the past 500 years Yemen has been ruled by the Ottomans, Portuguese, British, and been split in two during a civil war in 1986. Since 2011, the nation has been trying to recover its image after an Arab Spring revolution that ousted Ali Abdallah Saleh, who had been in power for over 33 years. The fact that anyone was smiling about anything left me sincerely rooting for Yemenis – men and women – to succeed as a nation. I’m not sure I can be as optimistic as they were, but as they say frequently in Yemen, inshallah. Great posting and photos. The math class pic intrigued me. The children seemed quite young to be studying Geometry. Geometry concepts are not typically taught until about the 10th grade in the U.S. Maybe if the kids were taught more age appropriate subjects, they will remain in school longer. 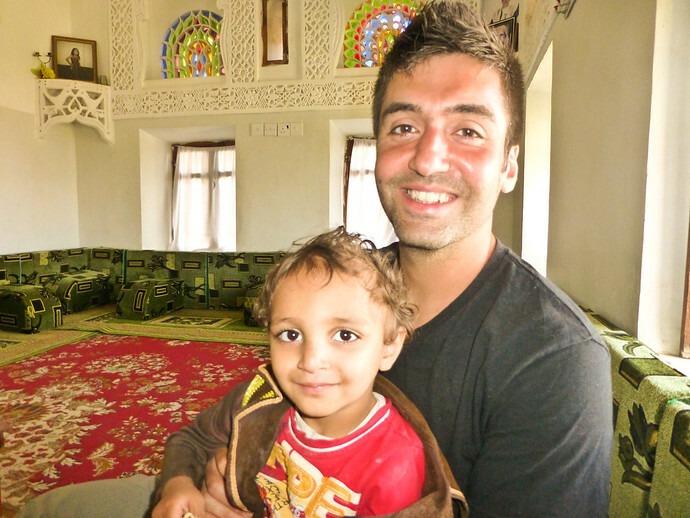 Thank you for sharing your travel experience in Yemen. Thank you very much Grace. You bring up a good observation about the ages in that classroom. Because many of these schools find it difficult to fill up their classrooms, they often group several grades in one class. The teacher then allocates assignments to each grade in that way. It’s not an ideal situation but unfortunately one dictated by the circumstances. I love everything about this post. These photo reflect everything I love about travel and made me smile. 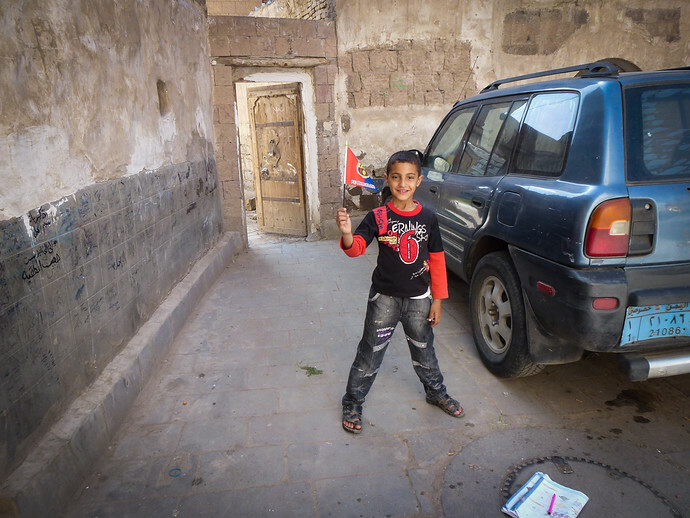 These are great photos and make me wanna visit Yemen soon, thanks for sharing. Yemen seems to be popular right now. Did you travel there with Wandering Earl? I was checking out Eternal Yemen and was pretty happy to see they offer adventure and trekking services. Great photos. Yes, I was Wandering Earl and I traveled there together a few weeks ago. If you like hiking, the landscape in western Yemen is fantastic for it, and Eternal Yemen a great company to get in touch with. I can easily recommend both! Thank you very much Todd and do hope you get to see Yemen in person, quite a fascinating place in many ways, especially politically. I’m greatly inspired by the young women brave enough to push the social norms. Thank you for sharing this! Thank you for this article.. i love it!! come and visit us again please! !